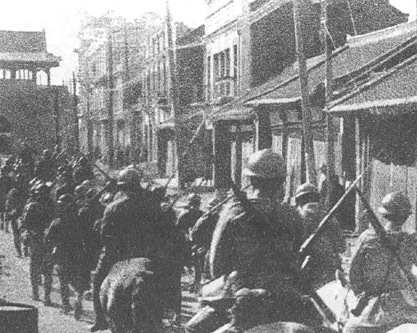 The Mukden Incident was an early event in the Second Sino-Japanese War, although full-scale war would not start until 1937. On September 18, 1931, near Mukden (now Shenyang) in southern Manchuria, a section of railroad owned by Japan's South Manchuria Railway was dynamited. 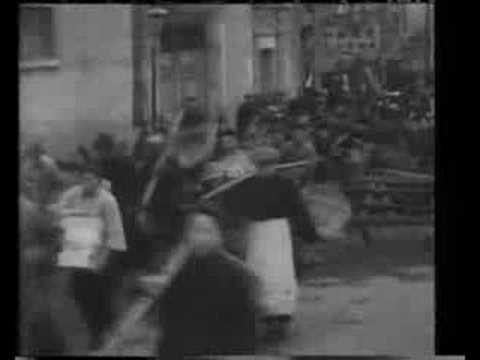 The Imperial Japanese Army, accusing Chinese dissidents of the act, responded with the invasion of Manchuria, leading to the establishment of Manchukuo the following year. While the responsibility for this act of sabotage remains a subject of controversy, the prevailing view is that Japanese militarists staged the explosion in order to provide a pretext for war. This event is known by various names, including the Mukden Incident. The favored name in Japan is the Manchurian Incident (Kyūjitai: 滿洲事變, Manshujihen: 満州事変). The favored name in China is the September 18 Incident (Chinese: 九•一八事变/九•一八事變 → Jiǔyībā Shìbiàn) or the Liutiaogou Incident (Chinese: 柳条湖事变/柳條湖事變 → Liǔtiáogōu Shìbiàn). Kwantung Army Colonel Seishiro Itagaki and Lieutenant Colonel Kanji Ishiwara, who had been looking for the excuse to occupy Manchuria for Japan, devised a plan to invade Manchuria. Ishiwara presented the plan at the Imperial General Headquarters in Tokyo, and it was approved to be launched but only following a major incident started by the Chinese. IGHQ had little or no idea that Itagaki and Ishiwara was about to embark on instigating such an incident. Originally, they enlisted the help of Colonel Kenji Doihara to worsen Sino-Japanese relations, but Doihara was recalled by Tokyo for his undiplomatic conduct. Additionally, Minister of War Jiro Minami dispatched Major General Yoshitsugu Tatekawa to Manchuria for the specific purpose of curbing the militarist behavior of the Kwantung Army. Itagaki and Ishiwara knew that once Tatekawa arrived, the continuation of their plan would become difficult, therefore they no longer had the luxury of waiting for the Chinese to answer to their provocation; they must now stage their own. Tatekawa arrived in Mukden at 1900 on 18 Sep 1931, and was distracted by Itagaki who entertained him at a teahouse. At 2200, Lieutenant Suemori Komoto planted explosives on the Japanese-controlled South Manchurian Railway line at Liutiaokuo, north of Mukden. 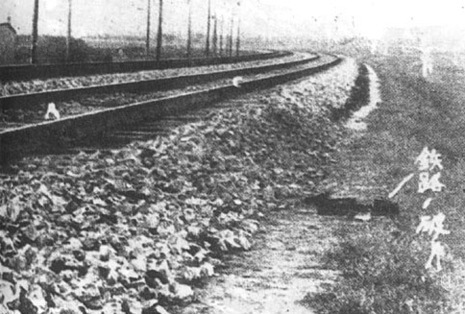 The explosion did little damage, and the use of the rails was restored only twenty minutes later. 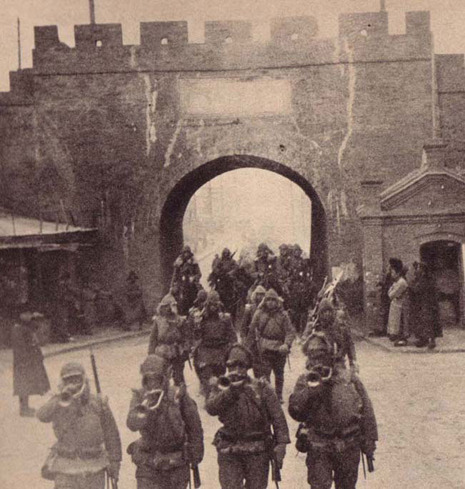 Nevertheless, the Independent Garrison Force of the Japanese 29th Infantry Regiment was dispatched to attack the Chinese barracks in Mukden. At 2230, Tatekawa was informed of the incident by Itagaki's men and reported to Tokyo as per Itagaki's version of the story. Unable to compete with Kwantung Army's firepower, the Chinese garrison at Mukden withdrew. Meanwhile, at Port Arthur, Commander-in-Chief of the Kwantung Army General Shigeru Honjo was at first appalled that the invasion plan was enacted without his permission, but was eventually convinced by Ishiwara to give his approval after-the-fact. Honjo moved the Kwantung Army headquarters to Mukden, and ordered General Senjuro Hayashi of the Japanese Chosun Army in Korea to send in reinforcements to bolster the defenses at Mukden. 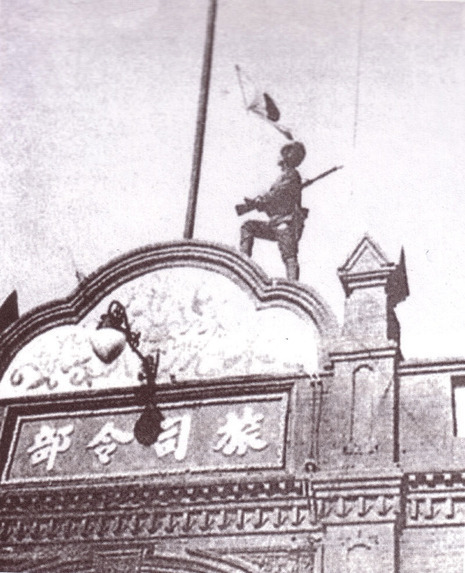 At 0400 on 19 Sep, Mukden was declared secure. By daylight, aircraft from the Chosun Army were landing at Mukden airport.